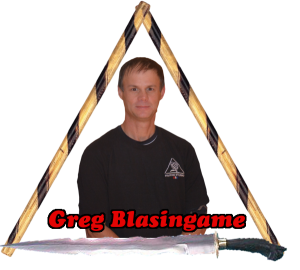 This site is dedicated to the study of the Filipino Kyusho system of Martial Arts as developed by Grand Master Angelo Baldissone. 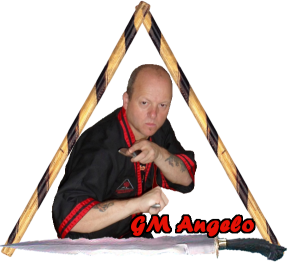 Our focus is on principles taught by GM Angelo that apply to all martial arts. We study the application of these principles through techniques and drills found in our Filipino Kyusho system. GM Angelo has developed a series of instructional martial arts DVD’s that instruct us on the application of those principles and techniques. We use a large variety of drills found in those instructional DVD’s to drill & build our skill. The FilipinoKyushousa website is being developed to give people in the United States who are interested in Filipino Kyusho a source for information and training opportunities here in the United States. We hope to share this art and hopefully see Filipino Kyusho Martial Arts grow throughout the United States. We hope to organize some training sessions with GM Angelo here in the United States sometime in the near future. Information on those training sessions will be posted as soon as training dates are scheduled. We are still developing this website so please check back for additional information and updates. If you are interested in Filipino Kyusho I recommend going to GM Angelo’s website and ordering some of his instructional DVD’s. As someone who has trained martial arts for a long time, I was skeptical about learning martial arts from a DVD. I can remember when I first started purchasing and studying the DVD’s. I was working with one of my jujitsu training partners at a local dojo. He was amazed at the effectiveness of a technique I was using (one we both had used 100’s of times but never felt like it was really applicable) he looked at me and said: “you learned that from a DVD”? I am 50 years old and over the last 30 plus years, I have experimented with Karate, Aikido, Jujitsu, Boxing Kick Boxing, MMA, Small circle jujitsu and a few others. What I learned from GM Angelo and his focus on principles was how to make my martial arts real and applicable. And above all to have fun doing it. The drills that we practice in our Filipino Kyusho training are great tools for building skill in a wide variety ways with a wide variety of implements. The principles we use can be applied to knife, stick or empty hand. In our Filipino Kyusho, we use the other persons’ energy to defeat them. We learn a calmness through our breathing and training that makes us better able to respond in self-defense situations without conscious thought. We make no plan of attack but just respond in the moment. This calmness carries over into our personal lives in how we deal with our family, friends, co-workers, customers or just people in general. Although our training prepares us for real self-defense situations it also prepares us for the daily stresses of life. As a Martial Artist, we all have to figure out who we are. We should always be evolving. We are always in the process. If we can just enjoy the process and not be consumed with having this skill or that belt then we will always enjoy our Martial Art because we are always in the process.